Nintendo of America has just confirmed the long-awaited eShop update for the Nintendo 3DS will hit on 6th June, missing its anticipated late May release. The company has not announced the reason behind the delay, nor exactly what will be included in the update, but considering 6th June is the day before Nintendo's E3 2011 news conference it's looking like being one busy week. A new system update for the hand-held Nintendo 3DS™ system will be available in North America the evening of June 6 Pacific time. By downloading the free update via a wireless broadband Internet connection, Nintendo 3DS users can enjoy new features and enhancements, including an Internet browser and access to the Nintendo eShop, where users can browse and purchase downloadable content. 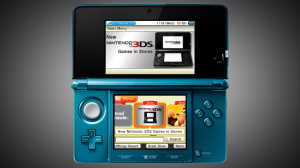 For more information about Nintendo 3DS, visit http://www.nintendo3ds.com. Nintendo of Europe has announced that the latest system update for the hand-held Nintendo 3DS™ system will be available in Europe starting June 7. 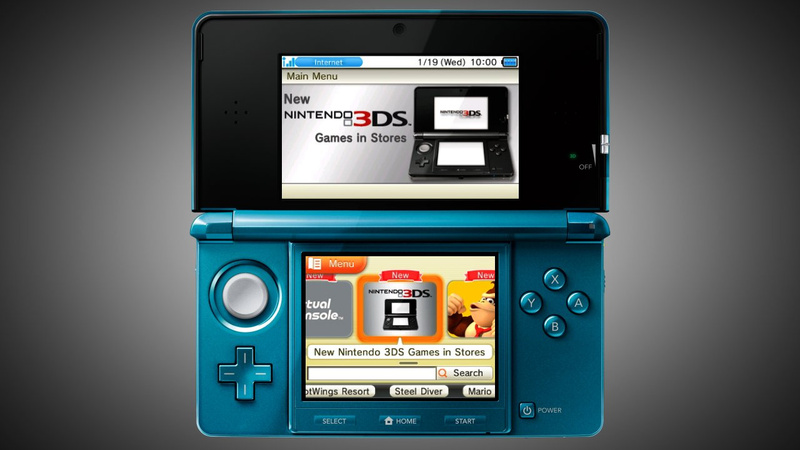 By downloading the free update via a broadband Internet connection, Nintendo 3DS users can enjoy a number of new features and enhancements including an Internet browser and access to the Nintendo eShop, where users can browse and purchase downloadable content. Tooo long of a wait!!!!!! Well, we waited this long. June seems like it will be a heck of a month for 3DS owners. This, Zelda, cubic ninja, RE: Mercenaries, Driver Renegade, Pac-Man & Galaga etc. Too bad they didn't specify what games and systems and any content eShop will offer on Day 1. Looks like Nintendo is saving all the best stuff for E3. Cool. It's nice to have a date set. It'll be the 7th before I know it anyway. Kind of a bummer that we have to wait an extra week or two, but better late than never, I guess. I think Issun is right, why would they put the update out JUST after E3 if they weren't planning something "big"? They might announce some crazy new feature or software on the 3DS and then say "it's in the update that we sent out just now". It's a shame, but only a short delay. My only worry is that Nintendo still seem to be stuck in the 20th Century when it comes to downloadable updates. Other companies update their systems and content pretty frequently, whereas Nintendo don't have the most 'active' record in this regard. The Wii and DSi have been pretty stagnant on this front, with the recent DSi update coming out of nowhere. If this 3DS update is arriving almost 2 and a half months after launch, how long will it be before there are future updates? Well considering I don't have a 3DS yet, I shouldn't be too mad at the delay but I'm hoping of getting one in the next week so I was looking forward to getting the update not long after I bought it but now there's another 2 weeks of waiting. Like I've always said, we'd be the first to complain if Nintendo released the shop on day one and it was as disappointing as the Wii or DSi shops. If this wait means the online store is actually enjoyable to use and lives up to what we'd expect, I'm all for it. I don't think there's any delay at all - European Wii/DSi shop updates happen around midnight and count as being on the next day, so since it's being released in the evening for North America, it may just mean Europe will get it at the same time, which would be around midnight. We are mere weeks from the 3DS being an actual complete, totally finished game system! Far as I'm concerned, June 6th should be considered the 3DS' release date since that's when all it's originally intended features will be available (and that browser button on the top-right corner will actually work). At least we have an actual release date now - finally! I'm sure this is so they can bombard us with 3D trailers of E3 games. We'll be blown away and all will be forgiven. Does this mean we should expect the update to go live around 11pm-12am UK time on the night of June 6th? Ah well, at least it's coming! I sure hope there'll be some good games at launch, we'll see. I KNEW they were going to hold it till E3! Nintendo NEVER releases something just to get it out there, even if it should have been out a long time ago. They do this for everything, the sd solution for the Wii being one good example. They held that till GDC just to sound cool. end of may... PAH !! Bull. It should have been out more then a month and a half ago. Let's not pretend they've delayed it to improve it in anyway. It's only been delayed by little over a week and is almost certainly just so they can hype it up at E3. Too bad, they really should have gotten that online going before PSN went back up. You know, so they could say they have a fully functional online structure unlike some other companies. Patience might be a virtue but It's not my Virtue. Well if their online launch is anything like their previous online launches. At least I know for sure that June will be the month I'll finally replay extensively on my 3DS : the update, probably Zelda and more importantly Solatorobo (welle it's coming out July 1st, but I know my store will get it early). That plus I'll Steetpass like a mad man when I'll be invited as a participant to Japan Expo in Paris at the end of the month ! It's still less thana month. Not a problem. June 6th isn't late May, but at least now I know when it's coming out. Having a set date is much better then "late May", even if the set date isn't in late May. I'm somewhat happier now. I figured it would be right before E3! Would have been nice a few weeks before but with all the E3 good ness I will probably not even touch it till the show is over! at least, the date is fixed and not just a floating idea. Breaking news: NIntendo pretty much announce that they were going to release the console in June but moved it forward to get a higher profit in its fiscal year. So we get this eShop goodness the same month as Zelda: OoT? good times! Seems June will be one heck of a busy and exciting month for Nintendo! Hurry up please! Hopefully Netflix will be available at this time. It's like getting an official announcement from Santa Claus Corp., "Ho, ho ho! We are pleased to announce that Christmas will no longer be held on an undetermined date in late November. In light of the volume of calls and emails to Santa's customer service department regarding when Christmas will occur, The Man in Red has decreed that December 25 will be the Christmas release date. For more information, visit ToyHo.com." I'm mad we have to wait more, but happy they announced the date ! Let's see how much I can wait.. Okay...I can wait a few more weeks. Hopefully Nintendo makes the first major update worthwhile; here's hoping the internet browser and E-shop function well. I was assuming Nintendo would launch the e-shop on Memorial Day weekend. This is only a week later no big deal as long as its out before I go on vacation. the Nintendo E3 in 3D live on the 3DS system. Whatever, it just better be worth it. As much as I'd prefer the shop to be open yesterday, at least with a date I can now chillax. Now I just need to find something to play between now and then! @SilverBlacktail: Maybe but it's true, lol. Nice that there's at least a date to look forward to. Nintendo rarely gives us that luxury. @Silverblacktail If you haven't figured it out yet, , I have ZERO faith in Nintendo ever getting online functionality right. They can make amazing hardware, they can make amazing software most of the time, but online features... They just don't seem to get it. So yes I'm pessimistic. I'll be the same for the next Nintendo console too. I hope the internet has flash installed. I can't see any videos on this site from my phone. I also hope we will be able to download videos from the internet as well. Not sure that would be a great idea though since it could get a virus. Oh no. I hoped it would be may because i have a operation june 1th and won't be able to game for 6 weeks. A. it is impossible to get a virus on your DS since they are targeted towards windows OS and your DS ain't it.
" If this wait means the online store is actually enjoyable to use"
and finally they better pack something cool, and i guess they do because they planned pre-E3 launch, so that means they have some cool stuff to show! they better have proper video player, facebook upload facility for the photos, AND THE FRIGGIN ALARM CLOCK!!!! This is really disappointing. It had better be an impressive shop with a good selection of games. And passable friend interaction. And a good browser. I was patient enough when they announced (a little late) that it wouldn't be day one, but now I'm feeling like I got screwed by getting their system at launch. The fact that it's the day before Nintendo's E3 presser definately indicates there might be a little extra something special about this update. What that could be, I have no clue but we'll find out in less than a month. About time a date showed up! I'm expecting plenty of E3 coverage! Great. That will give me a year and a half backlog of digital releases once I get mine in december 2012! Argh, why does Nintendo Awesomeness Week have to happen on the last week of school? Meh, I'm gonna stay home on the 7th regardless. Figures...now I gotta wait on E3....well, at least the Wii is getting CT next week. Glad we have a date, but I can't believe how many people still complain. Is that before, during or after E3? If its before, I wonder if they'll release an E3 stream video for the 3DS? Or at least a E3 video after E3 perhaps? I think that would be really cool. Shame we have to wait a week or so longer, but its better than nothing. This is going to be a really... really... REALLY long month. It's annoying that its been delayed by one or two weeks but at least we now know when its coming. Hopefully an announcment of the 3DS vc and 3DSware launch games will follow soon. June 7th not in May is. Little disappointed Yoda is, hmmm. But at least eventually it will come. @xDemon720x...it says that it will be in the evening of June 6th on the west coast of the US (PST). It will be about 12 hours before Nintendo have their E3 kick off which is set for June 7th at 9:00 am PST or about 5 - 6 PM your time. Late May.. I was expecting it before May ended.. ugh. They could atleast give us Flipnote Studio early as a smaller update as something to wait on... Oh well.. Glad we have a date! I swear this thing better be awesome or I'll give up on Nintendo's online strategy...again. 1.i am tired of wating! 2.atleast we have a date! 3.we better get more than wat we r expecting! 4.IM HAVING A NERVOUS BREAK DOWN!!!!! 5. : O!!!!!!!!! : OOOOO!!!! I couldn't care less when it's coming, I just want to know what it'll bring. As far as I know, they haven't announced anything that's worth getting overly excited about, and I probably won't even use the eShop until I run out of stuff to do offline, anyway. Well it's only a few days away from the original date. I like how people get annoyed when the e-shop gets delayed a few weeks, I remember games being delayed for months and months. At least it's near the beginning of June, not like June 24th, almost a whole month later. What a great birthday present for myself. Target release dates are good! The beginning of June huh, surprisingly it's almost the same week of when Sony is restoring the PSN too. C'mon Nintendo you have the advantage for an early lead in the online offering and choose to wait for the PSN to return before you could support your online eShop. Oh well, that's not too bad of a delay. I was, and still am, pissed at the DSi/Wiiware services, so I'm kinda indifferent about this. KINDA. Don't get me wrong, I want the eShop. I just hope these minor delays are to make sure they GET IT RIGHT! But,"In a world of peaches, don't ask for applesause." Maybe the delay means that the 3DS VC will support GBA games??? In any case if they actually make it really good then it will be totally worth it. If not......it's better to not say what I'll do. The eShop is probably already complete, Nintendo just likes to put things on hold for some reason. Sometimes I wonder if they should have just released the 3DS in June with OoT3D and eShop. OH another question, Like the DSi shop, will we be able to get a few free games of out choice? And will it sell 3D movies? Yes this gives me more time to find a way to set up wifi in my house. lol. Patience is a virtue- SCREW YOU! I wanted to get something fun and amazing for my birthday! Now I can't, Nintendo you really made me mad with these news. When is the next update after that? hahahah What will be added next? 12 days.. thats not too bad. I'm excited. I regret buying the 3DS. No good launch-titles, too long a wait for the VC. Switching to PSP. Patience is a virtue my goodly Toad. No good launch games? My my, aren't we a bit persnickety. Tsk, for shame sir. for shame. Come on, Street fighter was the only decent title and a bit easy to master. No Mario or Zelda titles, which is, lets be honest, the only thing keeping Nintendo in the game. How much will the games cost?! That's all that's left to know. Wished they announced both at once. So It's 10:00 already.. way past evening.. WHERE IS MY UPDATE.